Mark your Calendars for our exciting meetings!! Drug Trends in Ohio: Join Ohio State Patrol officers as we discuss a topic of interest to anyone working with youth or families! Our speakers: Sergeant Mike Kemmer and Trooper Matt Ruth. See below for specifics. What a fantastic day at the beautiful Riffe Center in downtown Columbus. Having the chance to spend the day with so many of our members – both new and old is always exciting and a privilege. This year’s conference was a tremendous success. Our speaker, Kenneth Cloke, presented fascinating insights into the mediation process. What impressed me most was just how far so much of the training in our profession has evolved. When I first started, the mediation curriculum gravitated toward techniques focused on conciliations and settlement conferences. With each year the trainings have changed and become more refined – offering more diverse and thoughtful concepts and ideas. The same evolution I have seen in training has also been reflected in changes closer to home. My first mediation ended in an impasse and the client said to me “you didn’t say a lot”. Ironically, last week, some 16 years later, a case settled and a client said “wow, you didn’t say much … thanks, I didn’t think we would settle”. There was a big difference between those two mediations where I “didn’t say much” and that has a great deal to do with attending these conferences. If I could summarize the theme of this years conference, it would be that it’s often more dangerous to stay on the surface and not focus on the underlying cause of the problem. The same could be said for the way our organization needs to view our profession and the future of mediation. We need to take chances, confront our issues and be committed to advancing the field. If not us, then who and if not now, when. I encourage everyone to “take a walk on the wild side” by taking an active role in OMA and helping to make a difference. The conference agenda also included the exciting announcements of our new elected treasurer Suzanne Barker, second term secretary Gina Weisshaar and Better World Award recipient, Jan Fritz. Please see Ed Krauss’s article below. I look forward to seeing you all at the June 4th meeting! Sergeant Mike Kemmer is a 14 year veteran of the Ohio State Patrol. He has served at the Patrol’s Mansfield and Delaware Posts and at the Patrol’s Special Operations Section. Sergeant Kemmer was assigned to the Patrol’s Special Response Team (SWAT) for 10 years and held the position of team leader, prior to his current position as the assistant commander of the Central Region Criminal Patrol Unit. Sergeant Kemmer is a Certified OPOTA (Ohio Peace Officer Training Academy) instructor. He also serves as a Firearms Instructor and Driving Instructor for the patrol. At its annual meeting, The Ohio Mediation Association presents the Better World Award to someone nominated by the mediation community as having made outstanding contributions to the field of alternative dispute resolution. At this year’s meeting, April 29, the Better World Award was given to Dr. Jan Marie Fritz, a full professor at the University of Cincinnati (since 1993 over 500 students have taken her mediation courses) and a senior research fellow with the Centre for Sociological Research at the University of Johannesburg, in addition to maintaining a private mediation practice spanning more than twenty years. Her recent mediation work has primarily been in the area of special education, but she also has mediated small claims cases, organizational disputes, and commercial cases. In addition, Jan volunteers her mediation and facilitation skills to community groups, citizen groups, community- based organizations and NGOs in Ohio, Washington, D.C., Connecticut and California about mediation and facilitation. Jan is the author or editor of more than 100 publications that have appeared in numerous languages (e.g., Greek, French, Ukrainian, Italian, Portuguese, Spanish). She currently is completing two books – Moving Toward a Just Peace: The Mediation Continuum and Essentials of Community Intervention. She was a vice president of the International Sociological Association (ISA), and currently is president of the Clinical Sociology division of the ISA. She has worked with a peace center at the University of Maiduguri in Nigeria. As the UN representative for the ISA, she has run sessions connected to meetings of the UN Commission on the Status of Women on her research on the national action plans based on UN Security Council Resolution 1325 (Women, Peace and Security). Two weeks ago she gave a presentation in Mexico City about this topic. She also was a consultant to Serbian government representatives in the development of Serbia’s plan. Jan thinks UNSCR 1325 is important because it addresses the difficult situations facing women and girls when there are prolonged violent conflicts but also because it opens the doors for women to be mediators. The Ohio Mediation Association’s Better World Award is one of many awards given this international trainer and scholar. In 2010 she received the American Sociological Association Distinguished Career Award for the Practice of Sociology and recently was awarded the Fulbright Distinguished Chair in Human Rights and International Studies in Denmark. Because of her outstanding work as a teacher, writer and mediator, OMA is honored to recognize Dr. Jan Marie Fritz. One of the things that keeps me excited about being a mediator is paying careful attention to the use of the English language, our only tool. (Well, silence, too. That’s another good tool.) As we all know, the careful use of language is critical to us in mediating successfully. Further, we often help people reach a mutually satisfactory resolution by restating, reframing, clarifying their positions: “I tried to explain but he won’t listen!” “What do you want him to know about your view of the situation?” Etc. A second thought is that apologies are, on occasion, part of settlements. Sometimes they are spontaneous, sometimes part of a negotiated agreement. And third, of course, is that we don’t tell people what the answer is, or what the settlement should be – but on occasion we challenge, at the table or in a caucus, an offer that we have doubts about. Acting as the devil’s advocate, doing a reality check, is all part of the practice. “You’ll take the three-year old Chevy and give your spouse the new Porche. Please share with me why you feel comfortable with that agreement.” “You want the children to change homes every third night, with a half-hour drive each way. How will that work for the children; their schooling, homework, time with friends?” Etc. It strikes me that nowhere in the quote were any phrases such as I was wrong, I did wrong, I’m sorry for doing the wrong thing, I apologize for doing the wrong thing. Were I at the mediation table, I’d turn to Buckeye Nation and ask if BN found that apology acceptable. Maybe yes, maybe no – but that’s up to BN, not to the mediator. 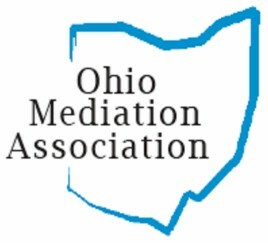 As a result of the discussion at the OMA Annual Conference, a committee has been formed to explore suggestions for certification of Ohio Mediators. Shirley Cochran has been appointed as Chair of the committee and is gathering those who are willing to assist in the project. A meeting was held after the general membership meeting in February and some consensus was reached as to where this might head. Linda Norris reported on Mediator Certification at the monthly meeting of the Dispute Resolution Committee of the Columbus Bar Association and reports were that things went well. Anyone with an idea of what the minimum qualifications and the process for certification should be, please send an e-mail to Shirley. Others on the committee include Linda Norris, Chris Scott, Susan Shostak, David Cohen, and Mark Laughlin. Meanwhile, the Association for Conflict Resolution has approved a draft of Model Standards for Certification Programs. Information as to the progress of the committee will be reported in Mediate Ohio as it is published. Please join us on the second Friday of the month; members and non-members are welcome! The library allows us to bring lunch to the meeting, with one stipulation: we must clean up after each meeting. Please Note: The following schedule of presenters and topics may be subject to change. May 13, 2011: The group meets for its annual luncheon gathering at a restaurant to be named later. If you have questions or need information, contact Chris Hayley (née Baker) at 513-639-9132. New and renewing members may send applications to Immediate Past President, Shirley Cochran at 2897 Liberty Bell Lane, Reynoldsburg OH 43068. Contact Shirley for membership applications. A membership application can be sent electronically for your convenience or you can download it from the OMA website www.mediateohio.org If there is a correction or an addition, please let Shirley know but only you can correct the directory on the website. If you have misplaced your membership number and password, please contact Gina Weisshaar, OMA Secretary for assistance. We currently have 150 members which is only 4 shy of the last fiscal year’s total so get out there and tell people about OMA! Canton OH 44709 (330) 493-0879NO EMAIL! P.O. Box 385Dayton OH 45409-0385 (937) 609-0741NO EMAIL! Delaware OH 8127 (740) 815-8127NO EMAIL! Margaret E. Honore Miller, J.D. c/o Jay Patterson Mediation Coord. W. Cephus Watts, Jr. J.D., Ph.D.
Union Co. Common Pleas Ct.
Community Mediation Services of Central Ohio and the Columbus Bar Association Personal/Professional Conflict Resolution Training September 22, and December 1, 2011; Basic Mediation Training June 8 & 9, September 7 & 8, and November 16 & 17, 2011and 40 Hour Domestic Mediation Training October 12, 13, 18, 19, & 20, 2011. Presenter Shelley Whalen, Executive Director of CMS and a past president of OMA. Training site 91 Jefferson Avenue, Columbus OH, the Thurber Center CLE and CEU’s Contact CMS (614) 228-7191 or www.communitymediation.com Fax: (614) 228-7213 Mailing address: 67 Jefferson Avenue, 2nd Floor, Columbus OH 43215. A World Class View of Dispute Resolution Straus Institute for Dispute Resolution Pepperdine University School of Law Malibu, California June 23-25, 2011 and co-sponsored by Vermont Law School at Woodstock, Vermont October 13-15, 2011.Nineteen Courses, Twenty-eight Faculty, Over 300 Participants from Around the World, Two and a half Days of Interactive Dialogue, Eighteen MCLE Credits. Contact Lori Rushford at 310.506.6342 or visit straus.pepperdine.edu.